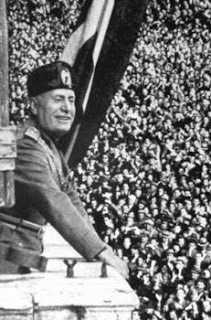 Italy was chosen to host the second FIFA World Cup and the Mussolini’s fascist government assigned a budget of 3.5 million lire to make it a show case event. Countries were no longer invited but had to competeto qualifying for the final competition. Despite being the hosts, Italy still had to qualify, making this the one and only time, the host nation was not granted automatic qualification. Thirty-two nations entered the regional knock out games. Twelve of the 16 places were allocated to Europe, three to the Americas, and one to Africa or Asia (including Turkey). When Chile and Peru withdrew out of solidarity with Uruguay, Argentina and Brazil both qualified without playing a single match. 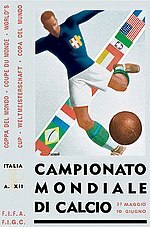 Uruguay, the titleholders boycotted the 1934 FIFA World Cup TM, making this the only World Cup where, the reigning champions did not participate. The British Home Nations refused to compete and Bolivia and Paraguay were also absent. The final competition consisted of 12 European teams (Italy, Germany, Belgium, France, Spain, the Netherlands, Hungary, Czechoslovakia, Sweden, Austria, Romania, and Switzerland). Two South American teams Argentina and Brazil. The United States and Egypt from Africa. Benito 'Il Duce' Mussolini followed football and saw the opportunity to promote the game as a patriotic symbol of his country’s superiority. The competition games took place in eight cities, chosen to promote the Italian ideal. Existing venues received a facelift and or new stadia were built in the fascist Italian style complemented with mass transport layout for the fans (tifosi) to attend matches. 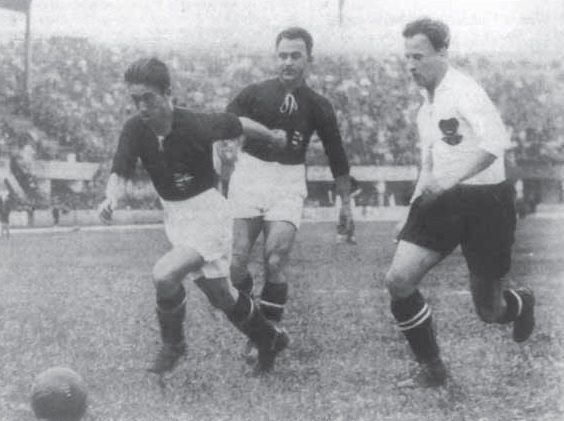 The competition took place in: Milan (Stadio San Siro), Florence (Stadio Giovanni Berta), Naples (Stadio Giorgio Ascarelli/ renamed Stadio Partenopei), Bologna (Stadio Littoriale), Turin (Stadio Olimpico Grande / renamed Stadio Benito Mussolini), Genoa (Stadio Luigi Ferraris ), Rome (Stadio Nazionale del PNF), and Trieste (Stadio Littorio). Mussolini wanted to be seen as the man of the people and was photographed standing in queue to get his ticket to the opening match himself. He then joined the honoured guests in the tribuna d’onore with the royal family and other dignitaries. The total attendance was 363,000. The eight seeded teams based on the FIFA rankings i.e. Argentina, Brazil, Germany, Italy, Holland, Austria, Czechoslovakia and Hungary. 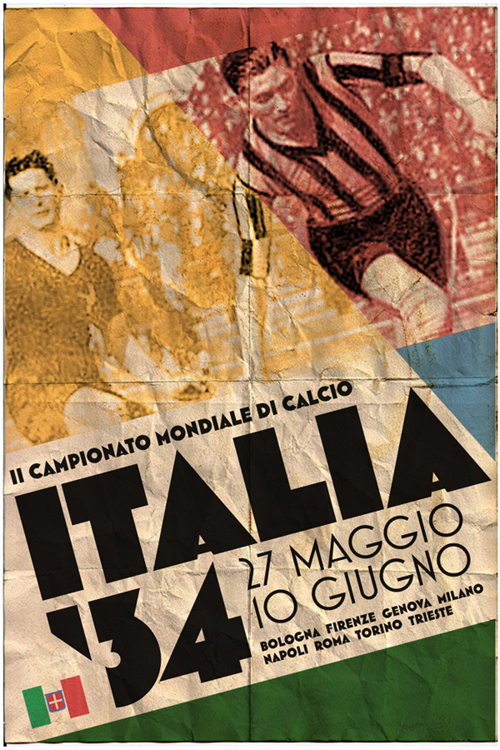 To demonstrate the efficiencies of fascist Italy, the 1934 FIFA World Cup TM, had eight simultaneous kick-offs across the country. In their opening game the US were beaten 7-1 against Italy, but the most well-attended first round match was at the San Siro, Milan where the Swiss played out a thrilling 3-2 victory over the Netherlands in front of 33,000 fans, many travelling from their home country to see the match. Seventeen (17) matches were played and 70 goals scored (an average of 4.12 goals per game). Oldrich Nejedly (Czechoslovakia) scored the highest number of goals in the competition (5). Initially FIFA credited him with only four goals, but 72 years later changed their decision to five goals in 2006. The Czech also scored a hat trick with Edmund Conen (Germany), and Angelo Schiavio (Italy ). Schiavio also had the honour of netted the 100th goal in the competition. The first player to miss a penalty in the World Cup history was Waldemar de Brito (Brazil) in a match against Spain. The Spaniards beat Brazil 3 to 1. Imre Markos (Hungary) received a red card. 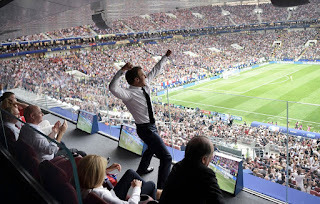 The one issue to plague the tournament was the attendances at matches outside of the final itself. Italian fans were spread too thinly across the country and the fascists redouble efforts to get them to the stadiums. Special posters, postage stamps and even a cigarette brand Campionato del Mondo, were introduced. The 1934 FIF World Cup TM was the first major tournament to be broadcast widely on the radio. Few Italians owned radios but the intention was to broadcast to neighbouring countries. Both Germany and Holland, who had bought the rights to broadcast the event. 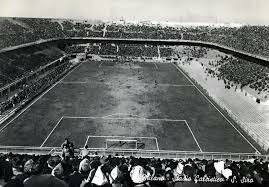 The 1934 FIFA World Cup Final was held in the Stadio Nazionale PNF in Rome in front of a reported crowd of 65,000. 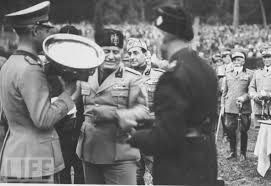 Il Duce attended with all the high-ranking officials of the fascist party, representatives of Nazi Germany, and communist Czechoslovakia. The final between Italy and Czechoslovakia was played in blistering heat and the host country won 2-1 after extra time. 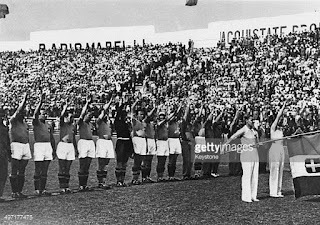 At the presentation ceremony the Jules Rimet trophy was presented, a special cup commissioned by Mussolini and six times larger than the World Cup itself, was presented to the Italian national teams (Azzurri).